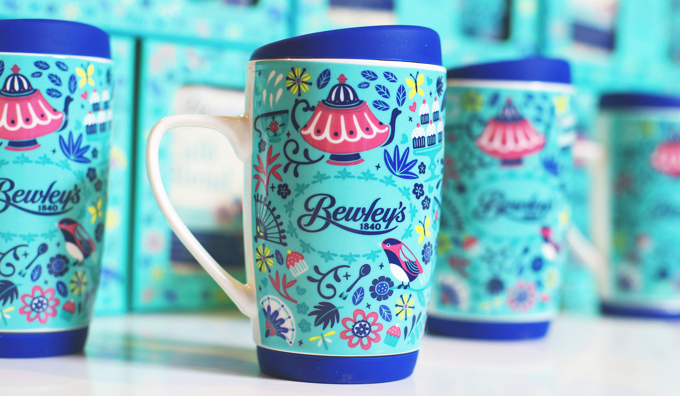 Bewley’s has a long and proud association supporting Irish artists and recently appointed Irish illustrator and pattern designer, Paula McGloin to develop illustrations that could be used across a brand new Bewley’s limited edition coffee mug and gift set. 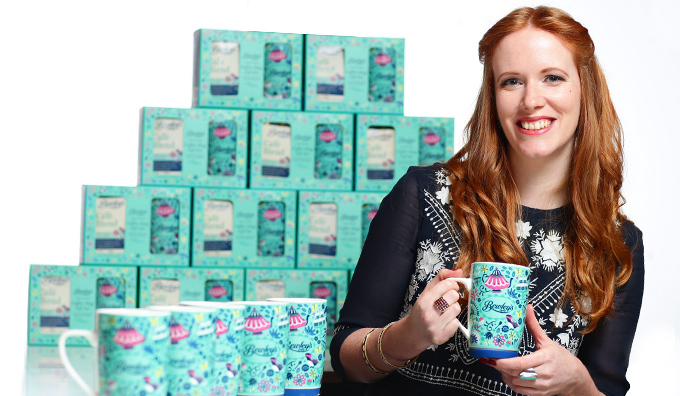 The illustration draws inspiration from the exquisite Harry Clarke stained glass windows in the Grafton Street Cafe which features lavish details of oriental birds and decorative flowers. 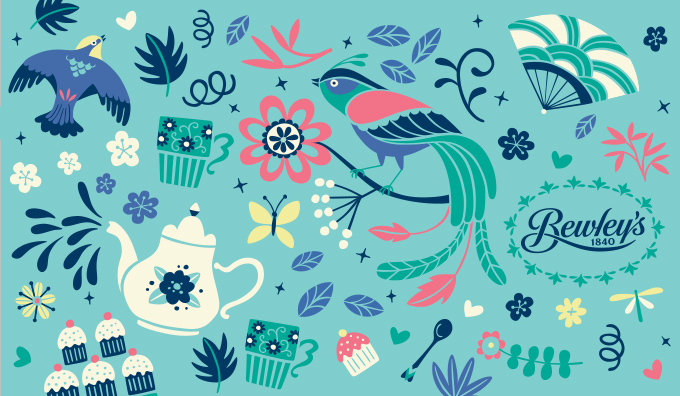 Paula used these references as the basis for her illustration to create an intricate pattern of teapots, cups, cup cakes, oriental fans, birds and butterflies. 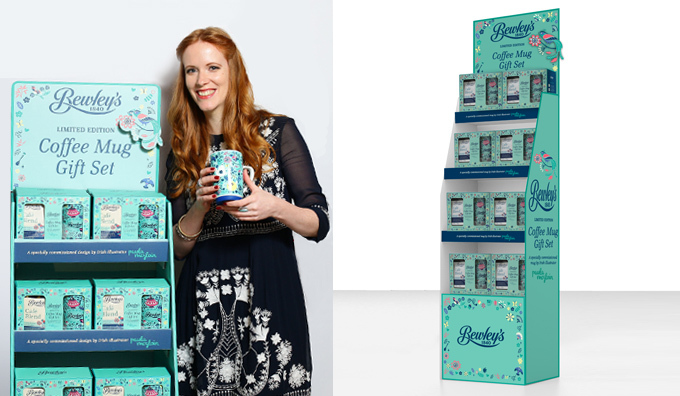 As Bewley’s brand partners, we worked from the outset with Paula to develop the packaging and activations materials for launch and are looking forward to seeing it in store very soon.